Participation in the Broome County Fall Soccer League travel program provides a competitive soccer alternative to the TSC recreational program for Under-8, Under-10, and Under-13 players. The program is administered by the Broome County Soccer Association. (A second Website has information pertinent to the fall program.) Games are played on weekends from September to early November. This is a travel program and away games are usually within an hour of Trumansburg. Home games are played in Trumansburg on the High School fields. Practices are usually in the evenings at the Trumansburg school fields and generally are twice a week, depending on coaches availability. Practices will generally start near the end of August, with games played between Sept. 1 and Nov. 1. A team usually consists of about 11 to 16 players. 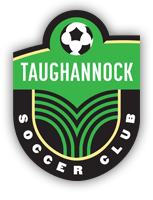 Travel fees are $140/player include a league registration fee, referee’s fees, coaches compensation, referee assignor’s fee, field maintenance costs, and jersey cost. Tournament fees, if applicable, are additional. Since team registrations are due in late July, please contact your age bracket coach (if you know them), or contact us here by mid-July to indicate your interest in participating.